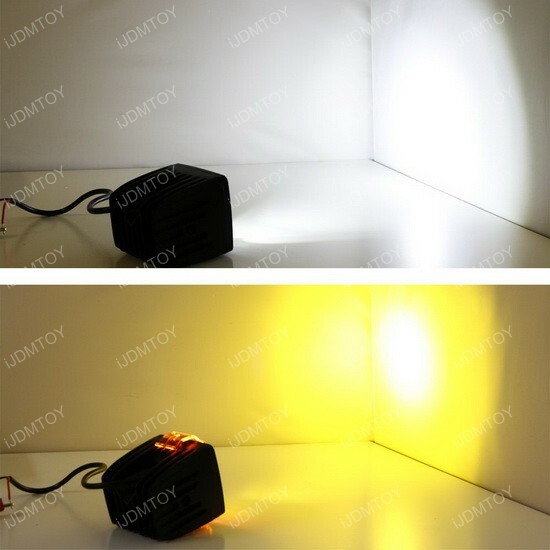 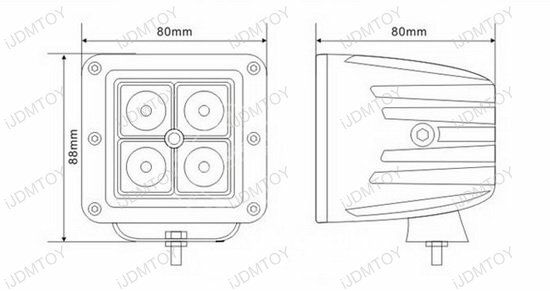 Total 80W and 5200 lumen! 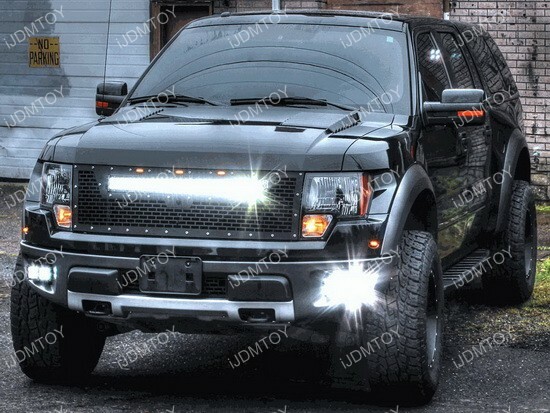 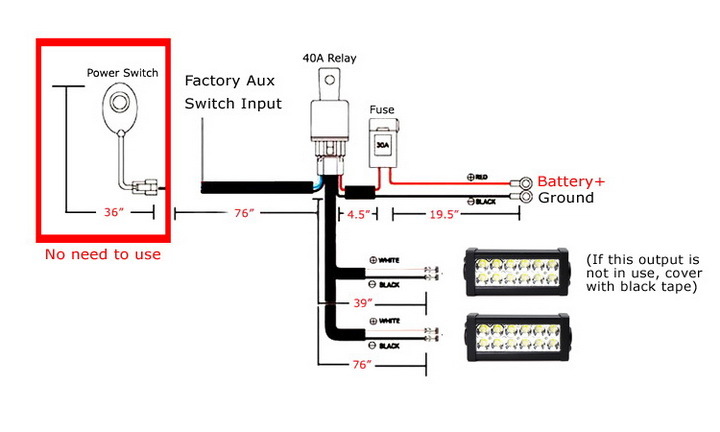 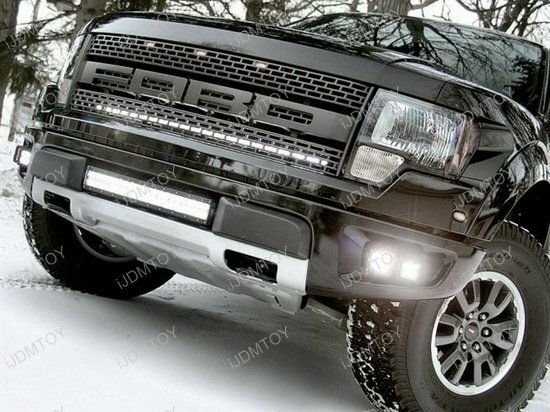 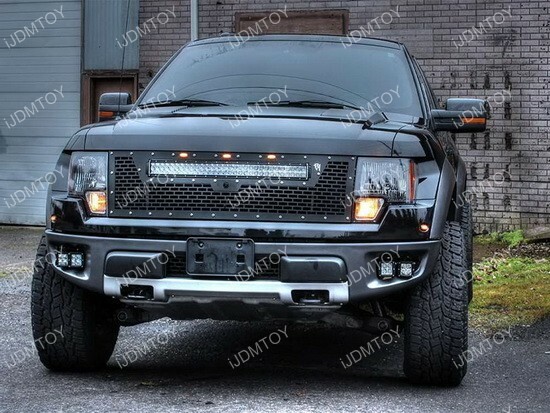 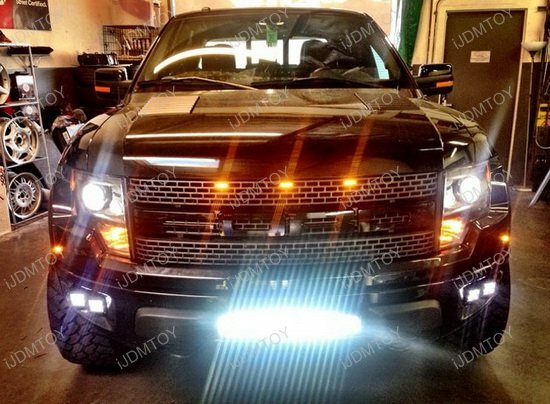 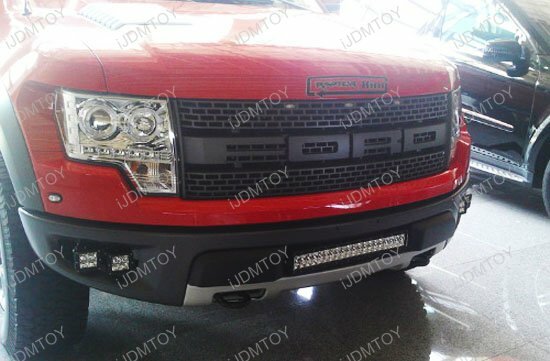 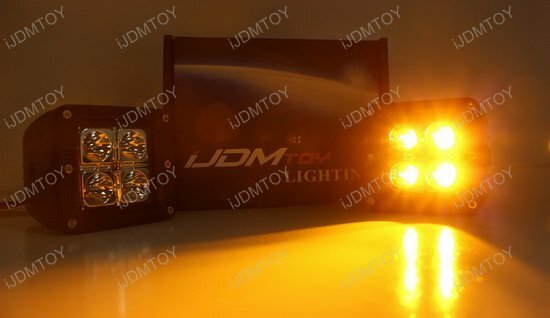 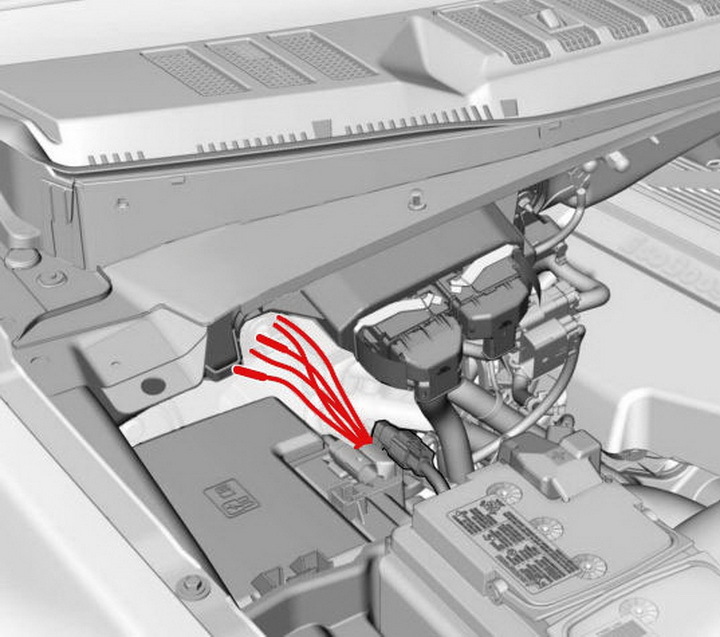 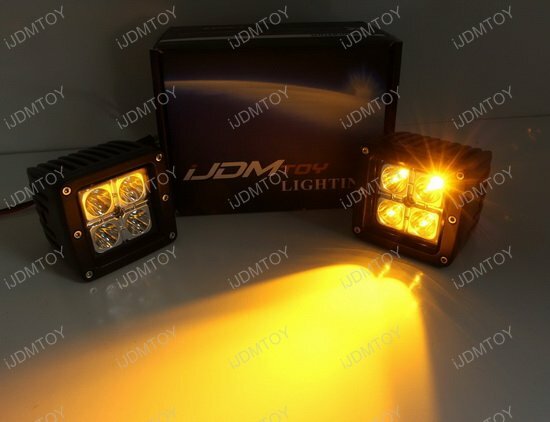 Q: Will this LED daytime running lights fit on my Ford F150 Raptor? 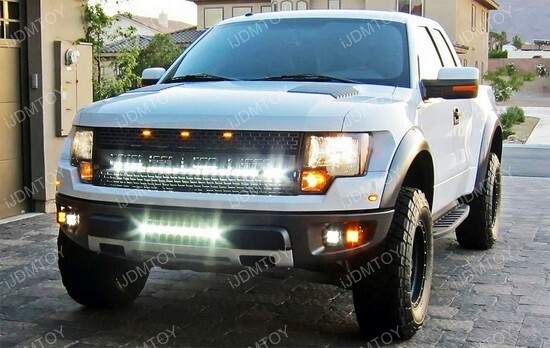 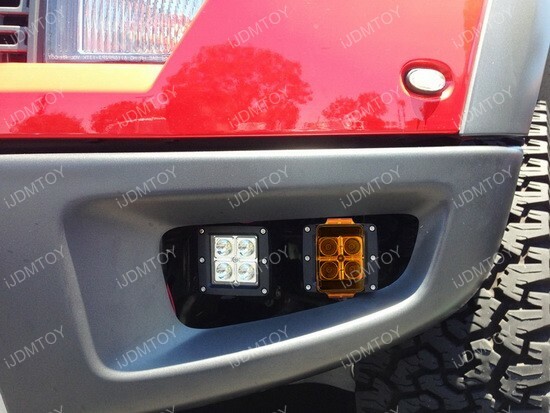 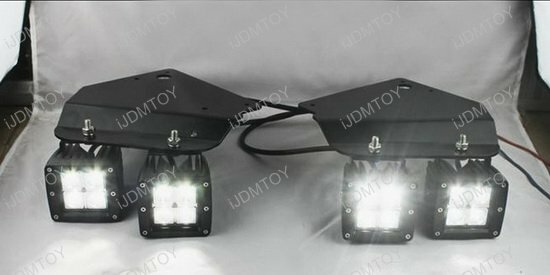 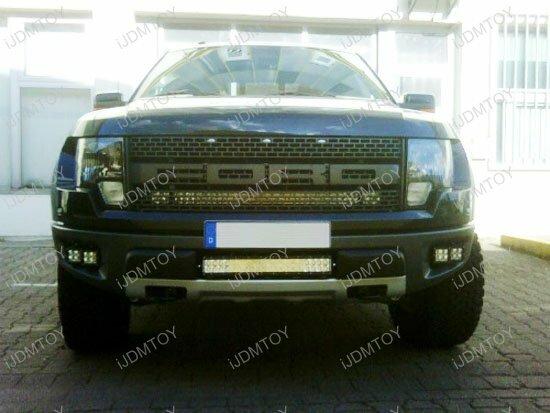 A: This LED daytime running lights will fit 2010-2014 Ford F150 Raptor. 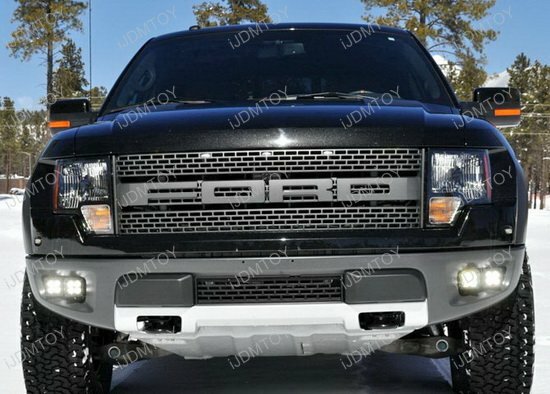 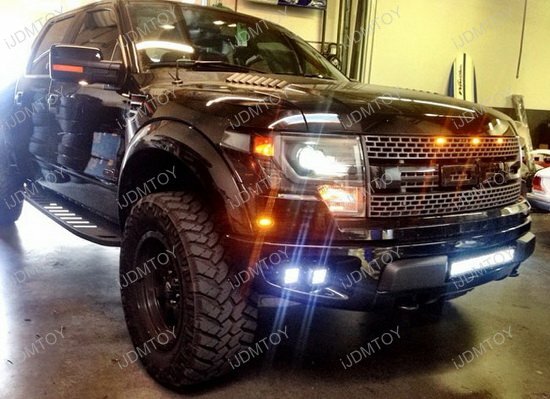 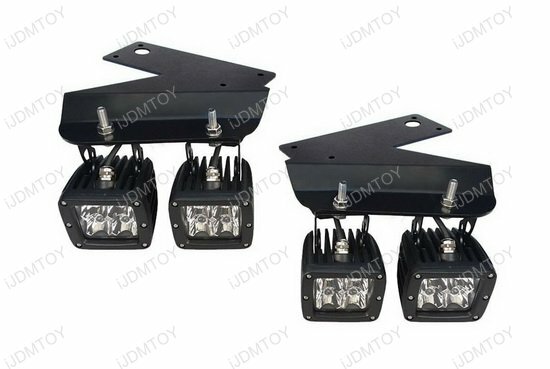 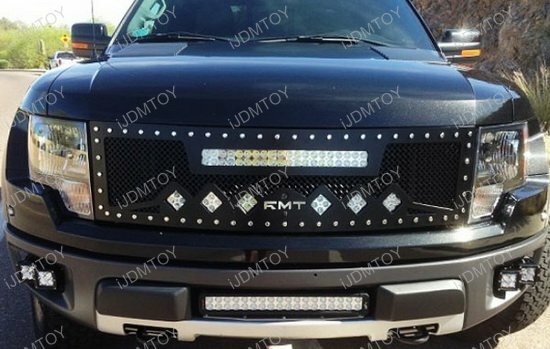 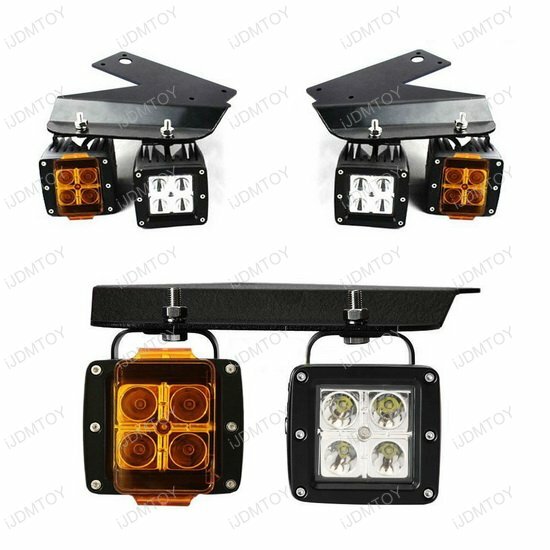 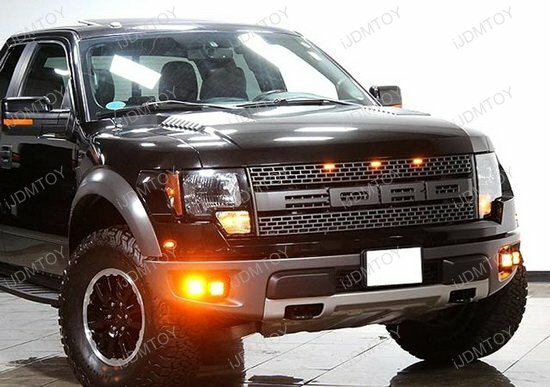 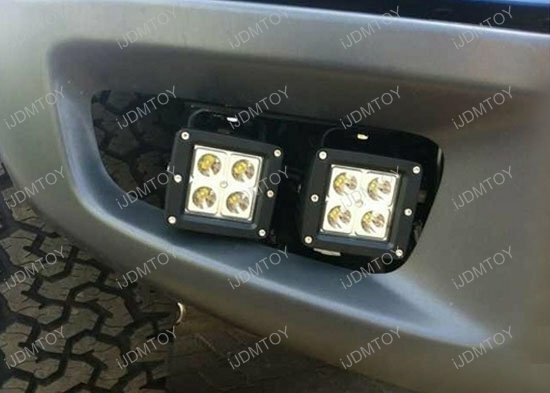 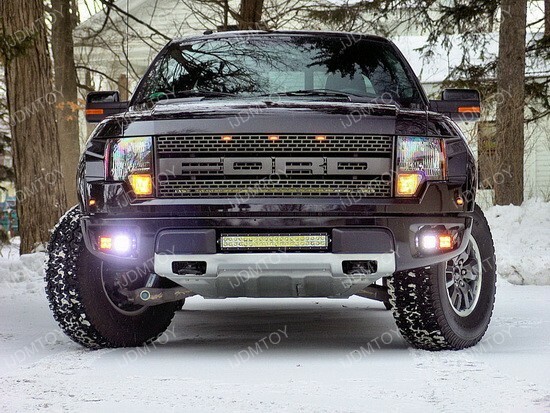 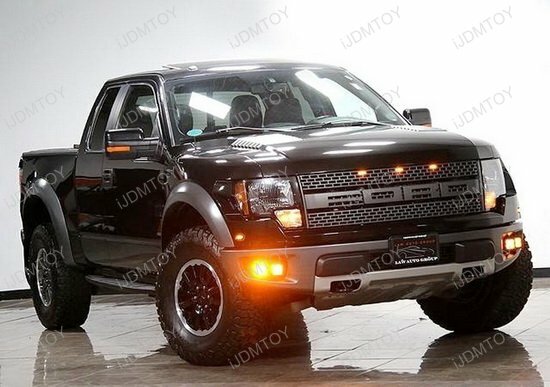 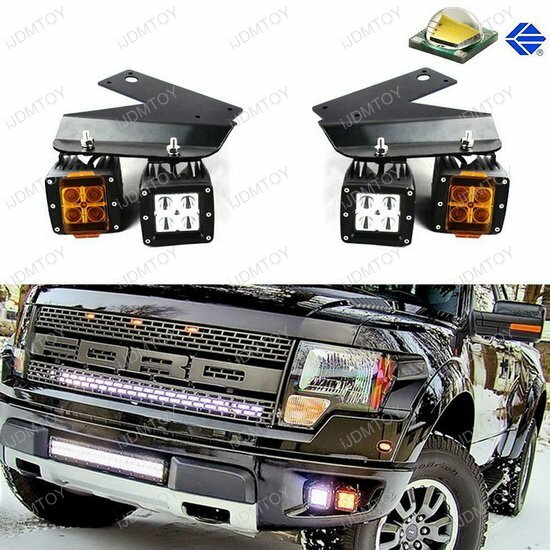 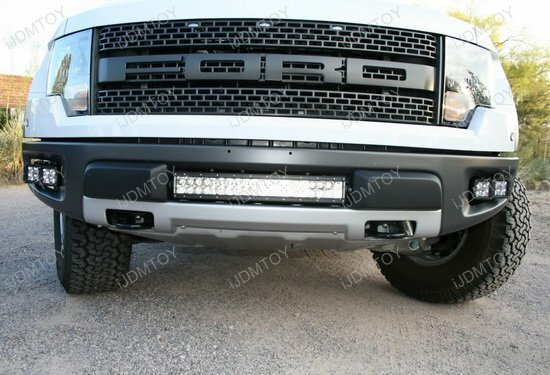 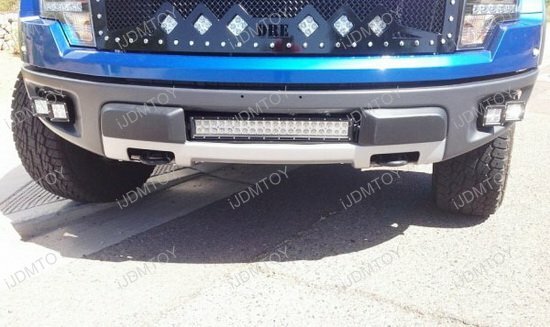 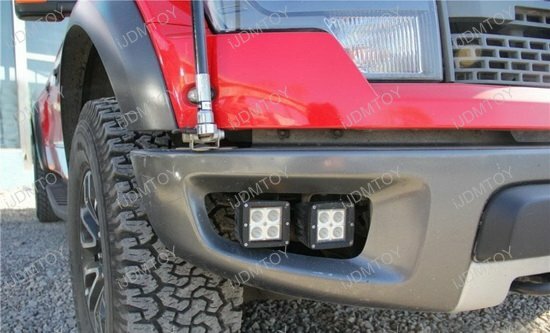 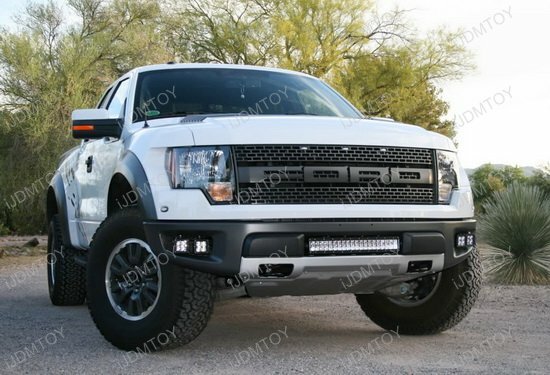 This page features one complete set of 4pc xenon white or 2500K amber high power LED bumper lighting systems with custom made mounting brackets, exclusively designed for 2010-2014 Ford F150 Raptor. 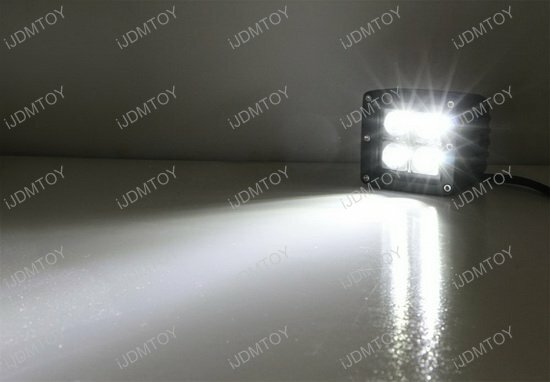 Great product, everything lined up very well. 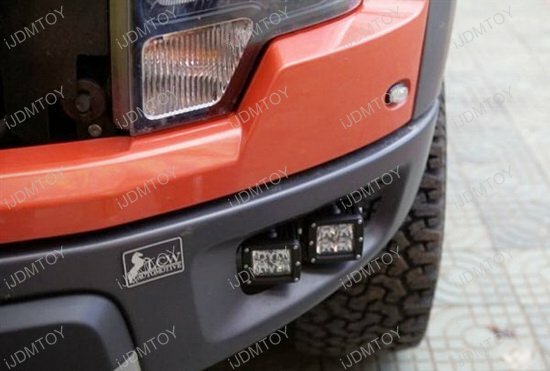 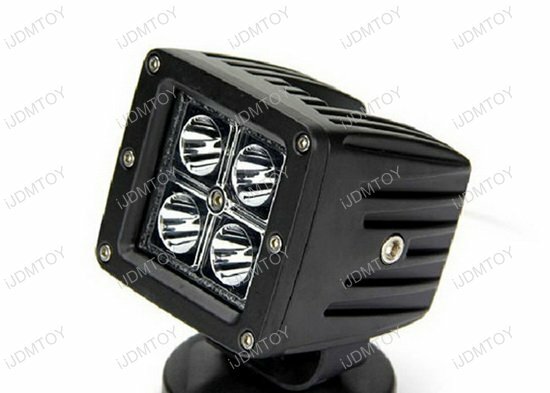 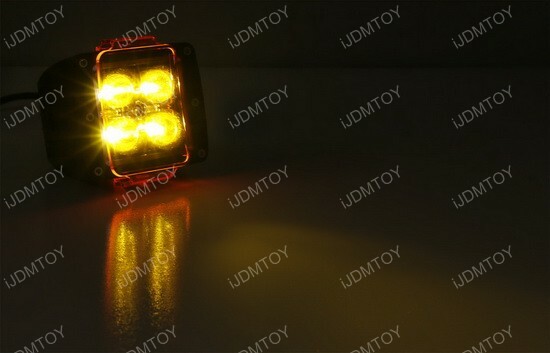 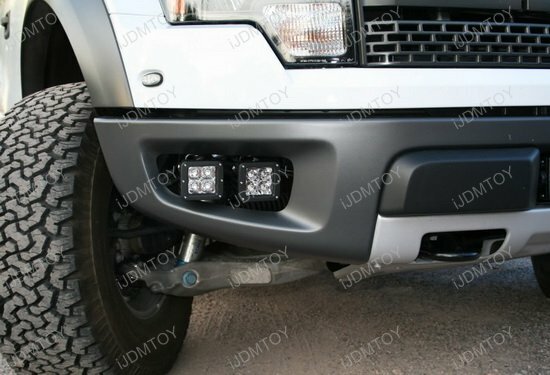 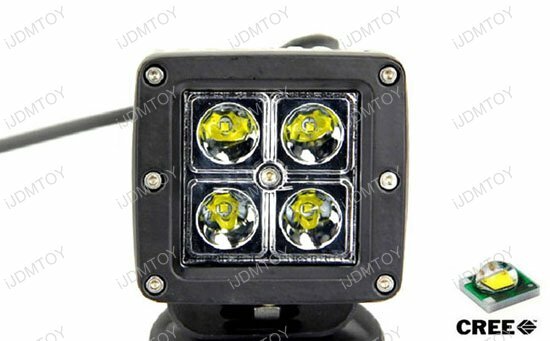 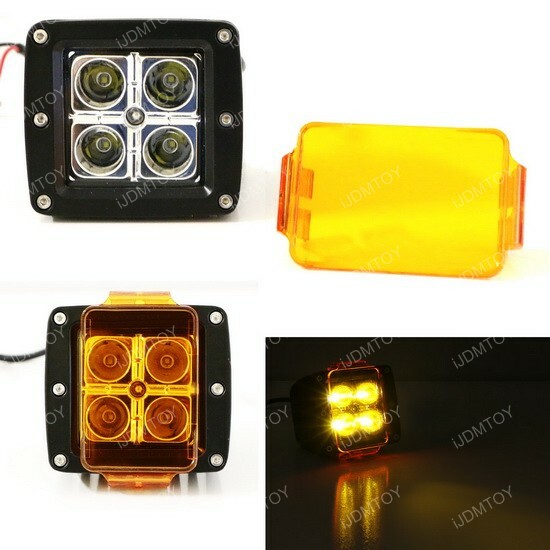 LED fog light kit makes a huge improvement and looks very sturdy.